In January we're playing HEROES OF MIGHT & MAGIC. There's still some time left, so if you haven't checked it out yet, now is a great time to do so. And if you did play the game, please share your thoughts with us over on the forums. Feel free to join us, it's a great game! Now straight on to the main course, which is the podcast episode about last December's game: THE INCREDIBLE MACHINE. Joining Martijn ("Tijn") and Florian ("rnlf") to talk about this classic title are DGC members Philipp ("derphilipp"), Richard ("Pix") and Oddvar ("dollarone"). Extra thanks to dollarone for suggesting this game. 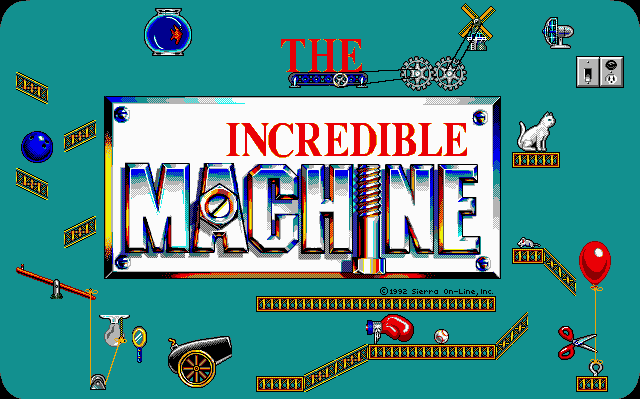 In fact, his suggestion of The Incredible Machine was the very first suggestion on our site! As mentioned in the intro, we're playing HEROES OF MIGHT & MAGIC in January. If you've played the game, share your thoughts over on the forums. Your input is of huge important to us, because we use it as material for the podcast. There's already some interesting discussions going on, so please feel free to join in! 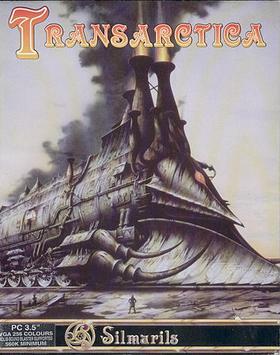 Apparently this weird French game is about riding mammoths, but also trains? No idea how this works, but that's what we're going to find out in February! 2018 is off to a strong start and we're hoping you'll help us to make DOS GAME CLUB great. The best way to help us out is to register an account and discuss the games we're playing with us on the forums. Active forum members are often invited to join the podcast, so if you want to participate, this is the way to go. The forum is also used for suggesting games to us. Most of the games we play each month are chosen from the suggestions. You can also talk to us on IRC. We've got a fairly active channel on AfterNet, called #dosgameclub. Now if IRC isn't really your thing, we've got a cool new thing for you: there is now a web client on our site which you can use to join our IRC channel straight from your browser. Last but not least, we're also on Twitter. If you're on Twitter as well, follow us to get updates on what's going on. Ok, that's it for now. Happy gaming everybody!